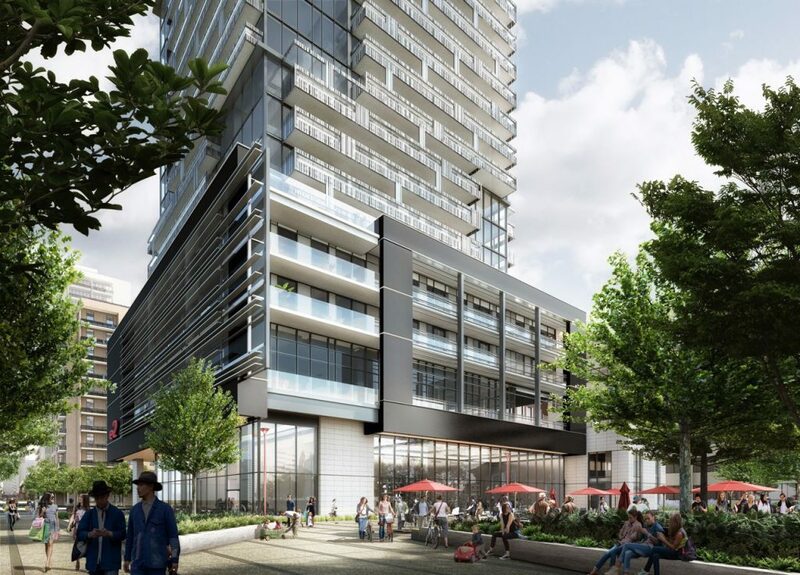 Toronto’s Yonge and Eglinton neighbourhood continues to evolve with the launch of E2 Condos at Eplace. 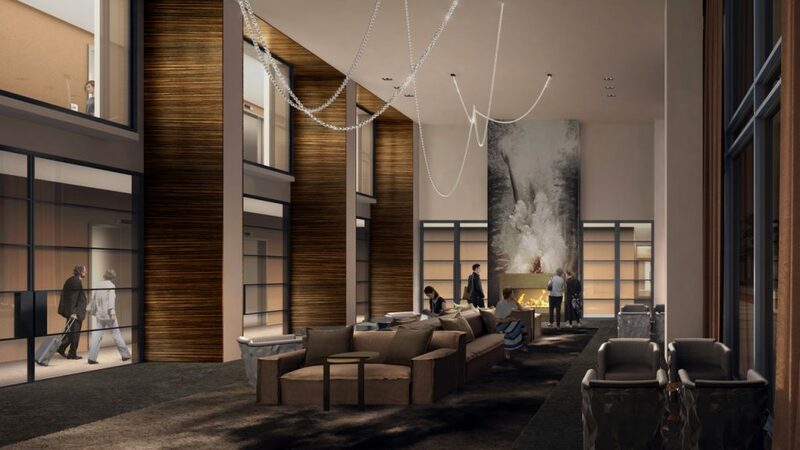 The modern residential tower is the latest phase in the master-planned community by developers Metropia, Capital Developments and RioCan Living. Located at 39 Roehampton Avenue, E2 is situated in the heart of Yonge and Eglinton, where scores of shops, restaurants and entertainment venues line the streets. The newly renovated Yonge-Eglinton Centre alone offers a one-stop-shop for all your needs with retail stores, restaurants and supermarkets, including Winners, The Pickle Barrel and Metro. It’s also a major transit hub with the Eglinton subway station underneath and the Eglinton Crosstown LRT now under construction. But the best part is all of this will be easily accessible for E2 residents thanks to a direct, underground connection when the project is completed in 2022. 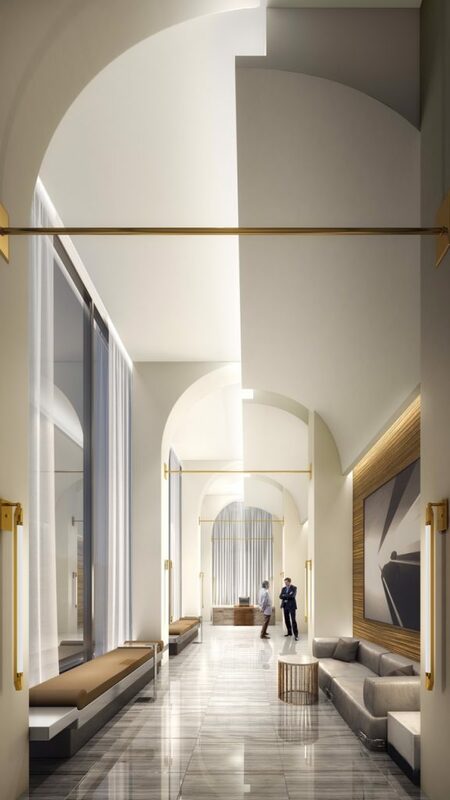 E2 at Eplace will house over 425 units priced from the mid-$500,000s, with a range of suite types and sizes from one bedrooms up to three bedrooms. Each layout has been thoughtfully designed to maximize space and efficiency, making them ideal for all types of home buyers including young families. They’re also well-appointed with luxurious finishes and colour combinations chosen by the renowned team at Tomas Pearce Interior Design. 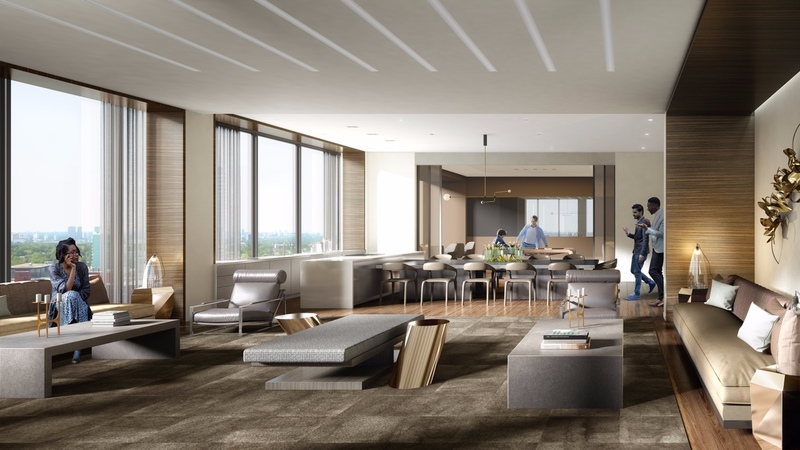 Standard features include nine-foot smooth ceilings, integrated kitchen appliances and quartz countertops. With an increased focus on the environment and the development’s proximity to public transit, only 100 parking spots will be available for purchase and the building will include an electric vehicle (EV) charging station. Other amenities include a state-of-the-art fitness centre, guest suite, meeting room, lobby lounge with wifi, party room, self-serve pet spa, and an innovative kids play area featuring slides, sandboxes and craft areas. 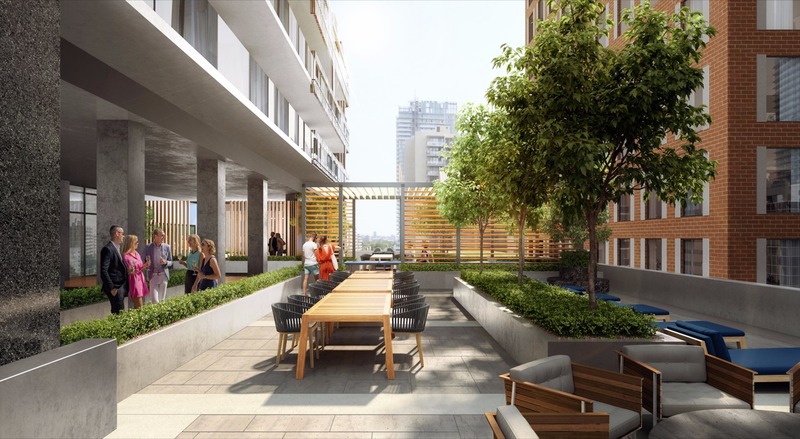 On the terrace, residents will benefit from nearly 7,500 square feet of outdoor amenities. The expansive common area is equipped with barbecues, ping pong tables, a seasonal theatre, fire pit and lounge seating. Even more outdoor space is available in the 4,700-square-foot public park which includes a new dog walking spot. The E2 Condos sales centre is slated to open this month and construction of the tower is expected to commence in 2018. To learn more about the development, be sure to register online at E2condominiums.com. For more information visit e2condominiums.com.